Laura Mackenzie‘s new article for POP presents the new leader of the Labour Party, Jeremy Corbyn. Is Britain’s left-wing party following the examples of Spain and Greece? Is populism (re)becoming a relevant part of British politics, from Farage to Corbyn? Let’s try to answer these and other questions with Laura Mackenzie’s article. Corbyn’s behaviour in Parliament over the past few weeks has echoed the concepts put forward in his first speech as leader of the Labour party: the criticism of governing parties beholden to corporate interests; the championing of the “courageous” British people, oppressed by austerity; and the identification with these people and their values against corrupt and unrepresentative political elites. In his first foray into the weekly adversarial battle of Prime Minister’s Questions, Corbyn took the unusual step of putting voters’ questions to the Prime Minister instead of using the occasion – as might have been expected – as a platform to cement his position as the unifying leader of a somewhat fractured Labour party. It all sounds very left-wing and, well, just a little bit populist, too. In recent years, we have seen the emergence and success of populist left-wing parties across Europe from Syriza in Greece and Podemos in Spain to the Scottish National Party (SNP) north of the border here in Britain. Despite perceived failures in renegotiating Greece’s position with its debtors, Syriza was recently re-elected as the governing party, albeit with a reduced majority. Scotland’s SNP lost the referendum for independence in 2014 yet wiped the board at the 2015 general election by taking all but three constituencies in Scotland, despite being dogged with allegations of corruption and illegal behaviour. The persistence of this new style of left-wing populism across Europe, regardless of negative publicity, seems to indicate that there is a great deal of popular backing for these parties and movements. Does the election of Jeremy Corbyn as leader of Britain’s Labour party suggest that European left-wing populism is finding support across this nation or is he espousing something that is uniquely British? In other words, is what Corbyn is beginning to do something new or merely a return to a traditional socialist Labour party of old? Corbyn was elected leader last month, when his message of anti-austerity and progressive politics resonated with nearly 60% of the Labour faithful, who saw in him the potential for a resurgence of socialism and gave him their first-preference vote. Unlike previous leadership elections, Corbyn was voted in by members and supporters of the party rather than votes being divided one third each between party members, affiliated trade union members and Labour MPs and MEPs. This new style of election was developed under the previous leader, Ed Milliband, and was intended to widen participation and to limit the influence of trade unions. It is in the election process that we see the first glimpses of Corbyn as a man of the people, at odds with the established Labour party. Despite entering the leadership race as an eleventh-hour contender with the minimum number of nominations (35) from the Parliamentary Labour Party (i.e. Labour MPs and MEPs), Corbyn fast became the popular candidate as support for him from trade unions and grassroots supporters swelled. Membership of the party increased by around 100,000 during the leadership election and, in the 24 hours following Corbyn’s victory, party membership increased by a further 14,500. Total membership of the Labour party is currently at its highest since 1999. These new members consist, firstly, of mainly young voters, disaffected with mainstream British politics who have found themselves previously unwilling to cast a vote or who have associated themselves with other parties on the left, such as the Greens. Secondly, these new supporters comprise the former Labour faithful, turned off by the shift to the centre ground under Tony Blair’s leadership and the subsequent failure of later leaders to move the party out of the centrist mire. In Corbyn, they see resurgent socialism and a return to ideological politics. For both types of member, Corbyn, in essence, offers something different. In the new Labour members who have been galvanised by Corbyn (flippantly termed Corbynistas by many sections of the British media) we see a dichotomy that may be indicative of a conflicted Labour identity. On the one hand, we have young members who see in Corbyn a new kind of politics, unlike anything they have experienced before: progressive, unpretentious and representative. On the other hand, those members who have come back to the party after a period of absence see Corbyn as a return to the past, where socialism was cemented as a force in British political life. The slogan for Corbyn’s campaign and its supporters was “I voted for a new kind of politics”. It is certainly radical, progressive and different to what is currently on offer, but is what Corbyn is proposing really all that new? Certainly, the Labour party being viewed as a protest party against an oppressive and unrepresentative style of politics is nothing new. In fact, the party was created by Scottish miner, Keir Hardie, as a protest party for working people unrepresented by wealthy political elites. In many ways Corbyn, with his pacifism, support for women’s rights, and racial equality mirrors Hardie in ideology and emphasis. It isn’t just a beard they share in common. In policy, too, Corbyn – although we are yet to hear concrete policy positions from the new Labour leader – has hinted at a return to a Labour of old. Plans to renationalise the railways, abolish university tuition fees and return to a system of grants are reminiscent of the 1960s, before privatisation steadily crept into the public sector. Corbyn’s emphasis on evangelism rather than pragmatism to get his message across to the electorate is more evocative of the Labour party of the 1980s, when Michael Foot galvanised Labour supporters with talk of socialism, than it is of the party in more recent years, when Tony Blair adopted a tactical approach to appeal to a broad section of the British electorate. We also see flashes of old British Labour in Corbyn’s Euroscepticism. In contrast to his leadership rivals, who were all unashamedly pro-EU, Corbyn accused the EU of being complicit in the ruin of Greece’s economy and originally refused to rule out campaigning for a Brexit at the forthcoming EU referendum, although his position on the latter has since been tempered. Although Euroscepticism in Britain has, in recent years, been the preserve of right-wing parties such as UKIP and the Conservatives, the Labour party of the 1970s was inherently Eurosceptic. It was the Conservative party at this time that was sympathetic to the European project and it was Labour that pushed for withdrawal from the EU during the first referendum in 1975. 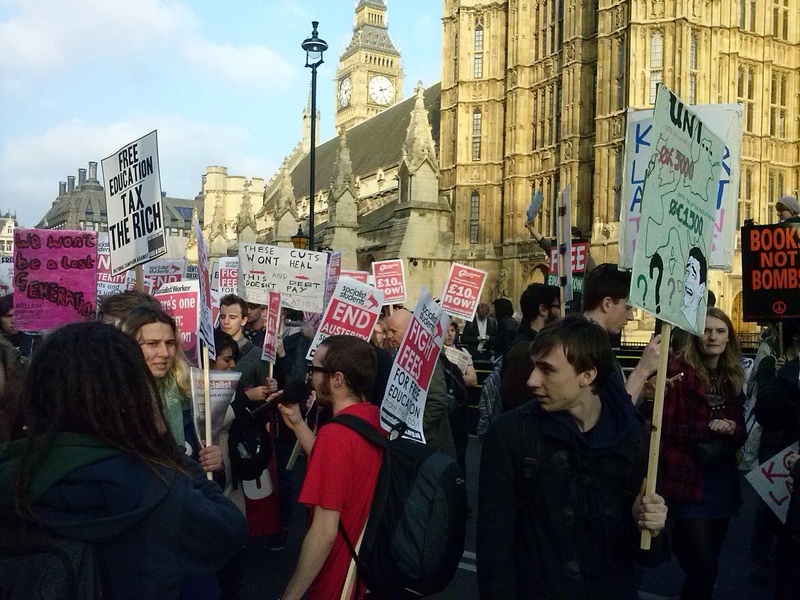 Protests near Westminster in 2014, for public school and against war. Although, in Britain, this combination of Euroscepticism and anti-austerity indicates a return to old-style politics, in other European countries such as Greece and Spain this left-wing rhetoric has more recently taken hold. Syriza and Podemos have gained popularity with an electorate that finds itself disaffected with mainstream politics and struggling financially as a result of crippling austerity measures. Corbyn has compared his success with that of Syriza in Greece and Podemos in Spain, citing the popularity of anti-austerity measures in explanation, indicating that he sees some common ground with these parties. Whether completely new or simply a new kind of old, Corbyn’s message is certainly populist. His identification with the “courageous” British people and the emphasis on his position as an outsider to the political regime cements Corbyn’s position as the honest politician working for the ordinary British man, woman and child. His desire to renationalise industry – for example, the “People’s Railway” – and bring it back under public ownership is inherently populist, as are Corbyn’s criticisms of successive governments – not only rival political parties – as corrupt. While Corbyn’s Eurosceptic and anti-austerity platform is shared with Syriza, Podemos and others, his rhetoric and policy are really quite British. With a huge popular mandate and intense media scrutiny, it will be interesting to see how Corbyn’s unique brand of British left-wing populism will play out, and whether he lives up to his reputation of bringing about a “new kind of politics”. 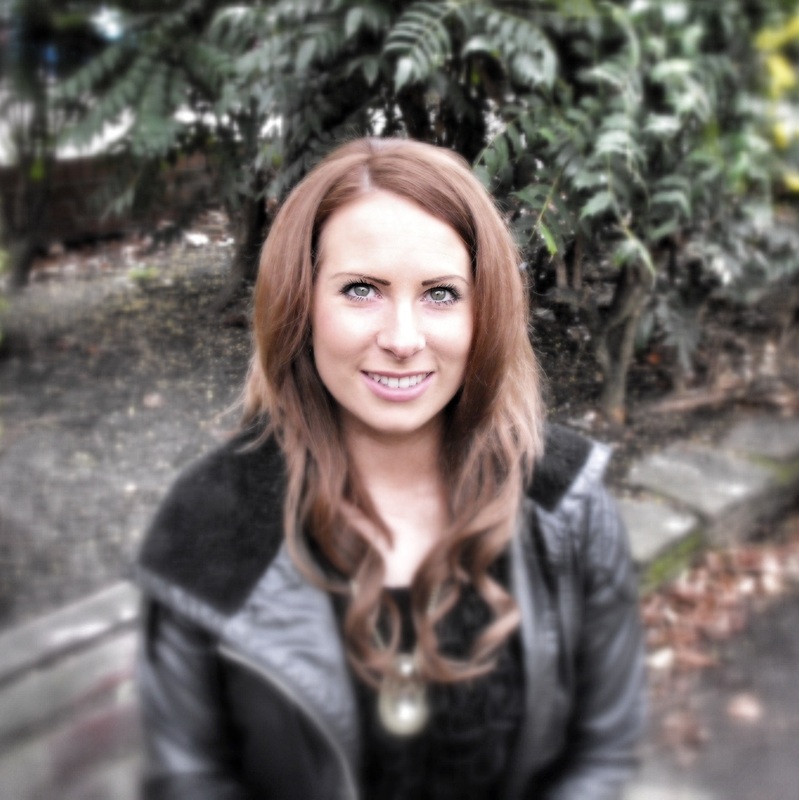 Born and educated in Scotland, Laura MacKenzie is now a final-year PhD student at the University of Leicester. Her research interests include populism and the radical right, with a specific focus on the European Parliament. Her PhD thesis concerns the behaviour of populist MEPs over time, since the first parliament in 1979.